Postdischarge plans can change after patients leave the hospital, but what do these changes mean for transferring facilities that aren’t necessarily privy to this information? Experts say not knowing whether patients ultimately follow through with postdischarge plans can have significant financial and compliance ramifications. Incorrect discharge status code assignment leads to incorrect payments, which may be why recovery audit contractors (RACs) have taken a closer look at hospital-to-hospital transfers. As part of these efforts, RACs are also monitoring Medicare’s post-acute care transfer (PACT) policy, which reduces the payment to hospitals that transfer patients to certain post-acute care settings. More than one-third of the 749 Medicare severity diagnosis-related groups (MS-DRGs) for fiscal year (FY) 2012 are subject to the PACT policy, and that number may continue to grow once ICD-10 takes effect, says Gloryanne Bryant, BS, RHIA, RHIT, CCS, CCDS, a regional managing director of HIM for the northern California revenue cycle at Kaiser Foundation Health Plan, Inc & Hospitals. “It’s certainly an area we need to keep a watch on,” she says. In the meantime, the current PACT policy poses several challenges that hospitals must address now. “I think [the PACT policy] is a very relevant issue. Some organizations have worked toward improving in this area, but I still think it’s a difficult area to monitor,” says Kathy Johnson, RHIA, vice president of coding quality and compliance services for Care Communications. • 65: Psychiatric hospital or psychiatric distinct part unit of a hospital. The patient’s length of stay is also an important part of the equation. It must be less than the geometric mean length of stay (the national mean length of stay for each DRG) for the PACT policy to take effect for the selected PACT DRGs. The IPPS policy regarding transfers can also be triggered when patients are transferred to a short-term general hospital for inpatient care (discharge status code 02). This policy, which is separate from the PACT policy, occurs regardless of the DRG assigned. When a transferring hospital triggers the PACT policy, it receives twice the per diem rate for the first day of the inpatient stay followed by the per diem rate for the remaining days up to the full MS-DRG payment. For example, consider an MS-DRG with a payment of $10,000 and a geometric length of stay of five days. The per diem rate for this DRG is $2,000 (ie, $10,000 divided by five). If the PACT policy is triggered, the hospital would receive $4,000 for the first day (ie, twice the per diem rate of $2,000) and $2,000 for the remaining days up to the full MS-DRG payment. In addition to the 275 transfer DRGs, there are also 30 special-pay transfer DRGs. These are also listed in Table 5 of the FY 2012 IPPS final rule. Payment for special-pay transfer DRGs is 50% of the MS-DRG payment plus one per diem payment (for the first day) followed by 50% of the per diem rate for each additional day up to the full MS-DRG payment amount. This payment structure occurs because most of these special-pay DRGs are surgical cases in which the up-front costs occur during the first day of admission, says Bryant. Although coders and billers should have an understanding of the PACT policy and the affected DRGs, DeVault says it’s equally important to look more closely at all DRGs regardless of the impact on transfer payments. “It’s about correct data. We want to make sure our discharge status is correct,” she says. As RACs continue to audit hospital-to-hospital transfers, many are left wondering exactly what auditors may find, what does the data mining reveal, and how do they uncover this information. Johnson says RACs are currently performing automated reviews to identify PACT-related overpayments. To do so, they rely primarily on the Common Working File (CWF), which provides a longitudinal look at care for all patients provided across multiple settings. The CWF includes data from the UB-04, says Scott R. Mertie, president of Kraft Healthcare Consulting. Unlike a medical record, the UB-04 doesn’t include any detailed clinical documentation. “It’s only as accurate as how the claim was billed and, of course, oftentimes the bill is only as accurate as how it was coded,” he says. However, the CWF makes it extremely easy for RACs to review a high volume of claims very quickly and efficiently, says Mandy Thompson, CPC, a coding and compliance consultant at Kraft Healthcare Consulting. “It’s easy for them to mine the data for errors. It shows when patients start and stop receiving services, and it also shows when patients move from one level of care to another,” she says. For example, a hospital transfers a patient home (discharge status code 01) and receives the full DRG payment. However, once the patient is home, he or she decides to go to a skilled nursing facility instead. When a RAC examines the CWF, it will see that the skilled nursing facility has begun to file claims for services provided to the patient even though it appears in the data as though the hospital discharged the patient home. This sends up a red flag that the transferring hospital was probably overpaid, says Johnson. • Physicians routinely document “discharge to home” when patients are actually discharged to another facility or even leave against medical advice. This is something an audit would catch and a major source of overpayments, says Thompson. • Patients are discharged home and then unexpectedly begin to receive home health services within three days. When this occurs, the transferring hospital should have reported discharge status code 06, which would have triggered the PACT policy, says Bryant. • Patients are discharged home, go home for a few hours, and then decide it’s more appropriate to go to a skilled nursing facility instead. The discharge status should be skilled nursing facility (not home), and the transferring hospital will be overpaid unless the claim reflects this information, says DeVault. Although RACs aren’t reviewing medical record documentation as part of their audits, hospitals should certainly be doing so internally, says DeVault. Consider addressing inconsistent and/or vague documentation in particular as this can definitely lead to coding problems, she adds. DeVault cites a lack of specificity on whether patients are being transferred to a skilled nursing facility for skilled care or intermediate care as an example of poor documentation. Intermediate care does not trigger the PACT policy while skilled care does, she says. Likewise, documentation such as “discharge to skilled nursing facility for rehab” may require a query for clarification. Case managers and attending physicians may even document two entirely different discharge settings, she adds. Coders should closely examine physician orders, case manager notes, and discharge planning notes. If there are any inconsistencies, they should query, says Johnson. If the order is missing, they may need to go directly to the physician. In some organizations, coders are required to query both the attending physician and the case manager, she adds. Most organizations use a template when querying for discharge status, says Johnson. The template typically includes a list of discharge options and asks the provider to clarify the discharge status. Also consider incorporating other details such as skilled vs. intermediate care (for skilled nursing facilities) or a time frame for home health services, she adds. The fact that RACs are using the CWF to look at services across multiple settings regardless of the provider may be indicative of future bundled payments, says Johnson. The Centers for Medicare & Medicaid Services (CMS) recently launched its Bundled Payments for Care Improvement initiative, a voluntary program that will link payments for multiple services provided during one episode of care rather than make multiple payments for claims generated by multiple providers. The CMS solicited applications from providers to participate in one of four different payment models. Although RACs have targeted overpayments related to the PACT policy, several experts say they are spotting plenty of underpayments, too. In fact, 49% of hospitals with underpayment determinations cited discharge disposition as a reason, according to the American Hospital Association’s RACTrac survey results from the third quarter of 2011. “Hospitals are leaving money on the table when they’re not going back and tracking to make sure that patient really was admitted to that other institution,” says Mertie. For example, just as patients can go home and then change their minds and decide to go to a post-acute care facility, the reverse can occur. Patients’ families may also decide they want to care for the patient rather than send them to a facility. When this happens, the transferring hospital is likely underpaid when it reports any discharge status code that triggers the PACT policy rather than 01 for home, Mertie says. Transfers to home health agencies can be particularly tricky and often yield underpayments because the PACT policy is triggered only when these services occur within three days of discharge and when they are related to the previous hospital admission. When home health services are unrelated to the hospital admission, billers must assign condition code (CC) 42 to alert the fiscal intermediary that the hospital is entitled to the full DRG payment. If home health services don’t begin within three days of discharge, billers must assign CC 43, which also allows the hospital to receive the full DRG payment. Many hospitals overlook assigning these condition codes, says DeVault. Coders may need to e-mail or call billers if they notice that one of the CCs may be applicable. “There needs to be a communication process [with billers], and then you need to have an audit process to see whether it works,” she says. In some cases, patients simply refuse home health services because they feel they don’t need them. This means the transferring hospital was likely underpaid if it reported discharge status code 06 instead of 01, says Bryant. Other times, patients actually do receive home health services, but the home health agency never sends a claim for the services. However, hospitals need to ensure that any underpayments they receive are justified, says William E. Haik, MD, FCCP, director of DRG Review, Inc. Haik says although much of his business is based on recouping PACT-related underpayments for hospitals, he acknowledges the limitations of automated reviews. For example, after spending only one day in the hospital, a patient is transferred to a skilled nursing facility for occupational therapy. The transferring hospital reports discharge status code 03 and receives a per diem payment based on the PACT policy. Although the patient doesn’t qualify for covered skilled care (because his or her length of stay at the hospital is fewer than three days), he or she does receive skilled care at the nursing facility. The patient may use Medicare Part B, another type of insurance, or self-pay for the services; however, no Medicare Part A bill is generated because it won’t pay for noncovered skilled care, says Haik. This means it appears in the CWF as though the patient never received the care at all. Although skilled nursing facilities are required to submit no-pay claims that would show up in the CWF, many facilities do not comply. As a result, RACs are basing their decisions on information that’s not entirely accurate, Haik says. “Even though [the patient] didn’t have covered skilled care, he or she was still a Medicare patient who got skilled care in a Medicare-certified facility,” he notes. Haik says he contacted the CMS in October 2011 about this flaw in the process and was told the agency was looking into the issue. According to an e-mail exchange with CMS staff on January 11, the agency has currently ordered the RAC in Region C (Connolly, Inc) to cease auditing hospital-to-hospital transfers entirely. Other regions continue to review the issue, though. Experts agree that hospitals with EHRs aren’t necessarily in a better position to maintain PACT policy compliance. “It still boils down to the documentation regardless of where you’re documenting it,” says Thompson. 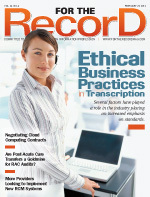 Security access among affiliated organizations that use the same EHR may pose a challenge, too. That’s because personnel at transferring hospitals may not be able to access health records that are outside their own institution. “You’d have to get security changes, which is doable—you just have to explain it to your security team and complete the necessary form,” says Bryant. Some hospitals build alerts into the EHR that trigger actions when certain discharge status codes are assigned, says Johnson. For example, if home health is assigned, a coder is alerted to follow up with a specific contact at the home health agency to confirm services were delivered as anticipated. “It generates a queue and standard communication that goes to that post-acute care provider,” she says. The alerts can be helpful, but they also disrupt workflow, which needs to be taken into consideration, says Bryant, adding that spending an extra three to four minutes per record to clarify discharge status code assignment can make a big difference in terms of compliance. Another lesser-known challenge of EHRs is that some vendors may use discharge status codes and definitions that differ from the federal ones. Hospitals may need to have appropriate crosswalks to the federal codes, says Bryant, adding that hospitals should also have a validation process in place to check the data dictionary. Communication between transferring and receiving hospitals is paramount when it comes to maintaining compliance with the post-acute care transfer (PACT) policy. First and foremost, hospitals should compile a list that includes the contact person at each receiving facility or agency as well as his or her e-mail address and phone number, says Gloryanne Bryant, BS, RHIA, RHIT, CCS, CCDS. “A lot of times, [the receiving facility] doesn’t even know there’s a problem,” she says, adding that it’s a good idea to invite personnel from the receiving facility to meetings to discuss the implications of the PACT rule and the most effective ways to coordinate information. Timeliness is also key, says William E. Haik, MD, FCCP. Communicating with a nurse at a skilled nursing facility is relatively easy when it’s done in real time, but many hospitals wait until the timely filing limit (one year), he says. It’s also helpful for transferring hospitals to develop a template that receiving facilities can return once the patient is officially transferred, says Kathy Johnson, RHIA. “It’s time and energy to give that information back, so if that can be an automated exchange, that’s helpful. You want to make it as simple as possible,” she says. • Use the Common Working File (CWF) to mine data internally, says Bryant. First, filter for Medicare patients, then filter for patients who are transferred to settings other than home. Use the CWF to verify whether a claim was ever filed from the receiving facility. When necessary, call the receiving facility for more information. • Call patients directly to determine whether discharge plans were executed as originally planned. “It has marketing [value] and it certainly reinforces the value the patient has to the organization,” says Johnson. Clients that have done this have often received positive patient feedback surveys as a result, she says. • Use the bill hold period (three to four days) to ensure all documentation regarding discharge is in place before final coding is performed, says Johnson. • Carefully evaluate any third-party vendors hired to assist with audits, says Haik. • Do you call receiving facilities directly to ensure discharge plans were executed as planned? • Do you perform clinical reviews to ensure the assignment of condition code 42 when appropriate? • In addition to audits, do you educate coders and case managers about how to better communicate and avoid these errors in the future?